Lecture at Glasgow School of Art, free bus from DJCAD. You are invited to attend a special lecture at Glasgow School of Art, in conjunction with the V&A at Dundee project, on 1st Feb, by Professor Jeremy Peat FRSE. 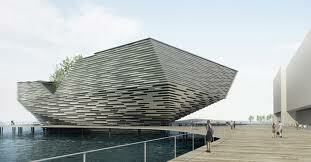 The V&A at Dundee will have an enormous impact on Scotland, through both cultural and economic regeneration. With this in mind, Jeremy Peat will explore the prospects for and importance of the creative sector in Scotland. He will do this against the backdrop of an uncertain and evolving global scene, including uncertainties related to some key sectors in Scotland. He will also address the support for the sector now available given the advent of Creative Scotland and policy developments at Scottish Enterprise. Jeremy is Director of the David Hume Institute. He has also worked with Government agencies at home and abroad, including Bangkok and Botswana. If you wish to attend this lecture, please email events@dundee.ac.uk to register your interest. A bus will depart from Duncan of Jordanstone College of Art and Design, Perth Road at 4pm on 1st February, and places on the bus will be allocated on a first come first serve basis. Please let us know if you would like to take advantage of this bus e.mail events@dundee.ac.uk, now.